Academic Regulations are approved by the University Senate to govern the progress of postgraduate students through programs of study leading to academic awards granted by the University Senate. Only the University Senate, or those with authority delegated by the Senate, can approve exceptions, exemptions or variations from the Academic Regulations. To qualify for admission to the University, applicants must meet (i) the University admission requirements, (ii) the admission requirements of the program applying for, and (iii) the English Language admission requirement. University and program admission requirements are minimum requirements for admission. Meeting these minimum requirements does not guarantee admission. Applicants who possess other qualifications equivalent to the University requirements for admission may submit applications for consideration on the basis of individual merit. Applicants seeking admission to master’s degree, postgraduate diploma, or postgraduate certificate programs should have obtained a bachelor’s degree from a recognized institution, or an approved equivalent qualification; and satisfied specific requirements prescribed by the School and department concerned as to their fitness to pursue postgraduate study. Applicants seeking admission to a doctoral program should have obtained a bachelor’s degree with a proven record of outstanding performance from a recognized institution or presented evidence of satisfactory work at the postgraduate level on a full-time basis for at least one year, or on a part-time basis for at least two years; and have satisfied the specific requirements prescribed by the School and department concerned as to their chosen subject of research, as well as their fitness to undertake the research. Applications for admission to postgraduate programs in Fall Term of the year are normally invited from September in the previous year. Interested persons are strongly advised to apply well before the application closing dates. In order to allow sufficient time to obtain a student visa/entry permit, non-local applicants are encouraged to submit their applications as early as possible and not to delay submission until the closing date. Selected applicants may be invited for an admission interview. Successful applicants will receive an offer of admission from the Office of Postgraduate Studies, and may be required to satisfy specified conditions. Applicants receiving an offer will be expected to accept or decline by a specified date. Under special circumstances, students may apply in writing to the Office of Postgraduate Studies for deferred admission to a subsequent term. Requests will be considered on an individual basis by the relevant School/department, who will notify the applicant of the outcome. All approvals for deferred admission are valid for not more than two consecutive regular terms, after which re-application for admission to the University must be made. Students who have withdrawn from the University may apply for admission into any program of study by following the regular admissions procedure. However, those who are required to withdraw from the University due to academic reasons or failure to meet the prescribed conditions set for re-enrollment at the end of an academic leave may not apply for re-admission into the same program of study. For re-admitted students, course grades and credits taken within five years prior to re-admission and not used to earn any academic qualification at the University or elsewhere may be used to fulfill requirements of the new program of study, subject to approval of the major department. Associate postgraduate students are self-financing students who enroll in individual self-financing credit-bearing postgraduate courses instead of any programs leading to formal academic awards. Subject to the approval of the home School, these students may normally take and/or audit no more than six credits of course in any one term. Once enrolled, students are not allowed to add or drop courses, or change their enrollment status. The University is under no obligation to admit a person who carries course credits earned through the Associate Postgraduate Students Scheme to any programs leading to formal academic awards. Following the University’s regulations on credit transfer, department may determine whether credits previously earned through the Associate Postgraduate Students Scheme can be transferred if the students concerned are admitted to any academic programs. Taught postgraduate students enrolled in tertiary institutions outside Hong Kong who wish to study at the University on a short-term basis may be admitted as visiting postgraduate students. They normally enroll for one regular term, and can, at the most, enroll for two regular terms. Visiting postgraduate students may take courses, but are not enrolled in a specific program of studies, except for the Master of Business Administration program. Visiting postgraduate students may not receive a degree or other academic award of the University in the capacity of a visiting student. Students from institutions outside Hong Kong may enroll as visiting internship students to take a special project course at the University for one to six months, to fulfill their directed research or internship assignment which is part of the program requirements at their home institution. Visiting internship students are enrolled with a School but not on specific programs of the University. Program registration involves payment of tuition and other prescribed fees, and completion of the registration process. Failure to maintain registration in the program in any regular term will result in automatic withdrawal from the program and the University, unless a formal approval of Leave from Study has been obtained from the student’s major department (see section 3.7 below). Moreover, a student must be officially registered in the program in the regular term when he is being considered for graduation from the program concerned. Unless prior permission from the Academic Registrar is obtained, students are not permitted to concurrently register for another program at this University or at another tertiary institution. If students are found to be registered elsewhere without seeking prior approval, they will normally be required to discontinue their studies at this University. Non-local postgraduate students admitted to the University in a particular academic year must complete registration in their programs by the end of the add/drop period in the Fall or Spring Term. Under special circumstances, students may apply in writing to Academic Records and Registration, Academic Registry via the department for late program registration for the term concerned. Most postgraduate programs are available in both full-time and part-time modes of study. The taught programs leading to the EMBA, MA, MBA and MSc degrees, as well as postgraduate diplomas and postgraduate certificates are suitable for students interested in part-time study. The MPhil and PhD are research degrees, and students in some disciplines may be required to participate in research on a full-time basis. Postgraduate students may apply to their major department, prior to the beginning of any regular term, for transfer from full-time to part-time status or from part-time to full-time status. When such a transfer is allowed, the remaining program requirements will be determined. Full-time students in taught programs are expected to be in attendance during those terms for which their programs are scheduled. Research students are expected to be in attendance on a year-round basis. For part-time students, attendance shall be as above except on a part-time basis as defined by the requirements of their programs of study. Students admitted to a full-time program are expected to study full-time for their programs, and are cautioned that outside work commitments may impede their academic performance. The normative period of study for the part-time postgraduate certificate programs is one year, whereas that for the part-time postgraduate diploma programs is one year and a half. For the full-time postgraduate diploma programs, the normative period of study is half a year to one year. The normative period of study for the full-time taught master’s programs is one or one-and-a-half years as specified by individual programs. For part-time taught master’s programs, students may expect to take twice the time of full-time students. The normative period of study for completing a PhD degree in full-time mode is four years after the first degree with a reduction of one year if a relevant research postgraduate degree is earned prior to entering the PhD program. For an MPhil degree in full-time mode, the normative period of study is two years. The maximum time allowed for degree completion is five years for a master’s degree and eight years for a doctoral degree. The maximum period of study for a postgraduate diploma program is three years whereas that for a postgraduate certificate is two. Time limits for part-time study are the same as for full-time study. The time limits are in effect whether or not the student is in continuous registration. That is, period of approved Leave from Study, and suspension period are also counted toward the maximum time allowed for degree completion. Students are discouraged from interrupting their program of study. In exceptional circumstances with sufficient justification, students may apply for Leave from Study for one regular term, subject to approval of the major department. Applications for Leave from Study for two consecutive regular terms require the approval of the Dean or the Dean’s designee. Applications for Leave from Study for more than two consecutive regular terms will normally not be considered. Any exception to this rule requires the approval of the Office of Postgraduate Studies. Research postgraduate students who submit their theses for examination at least four weeks before the commencement of the following regular term, and who are unable to sit for their thesis examinations before the start of the following regular term through no fault of their own, are allowed to retain their student status for a period not longer than four weeks in the following regular term. Students on taught postgraduate programs who have to extend their study beyond the normative period of study may be required to pay a term-based fee, or they may need to pay additional fees based on the number of credits they enroll for the term concerned. To encourage research postgraduate students to complete their studies at the earliest possible time, a refund mechanism has been introduced so that those who are studying beyond the normative period of study and have met their program and residency requirements within the first three calendar months of the start of a regular term are entitled to a refund of 50% of the tuition fee paid for that regular term. The students must have submitted their final thesis within the three-month period. This refund mechanism is applicable to both full-time and part-time students who have only their research thesis to complete for submission in the last term of study. Students who have enrolled for courses other than MPhil/Doctoral Thesis Research in the last term are not entitled to the refund. Research postgraduate students who are studying beyond the normative period of study and in their final stage of thesis writing may apply to register as Continuing Student, and pay a reduced tuition fee. Their previous mode of study, whether full-time or part-time before changing to Continuing Student status, will remain unchanged. The application, duly considered and endorsed by the thesis supervisor, and department head or PG Coordinator, has to reach Academic Records and Registration, Academic Registry at least four weeks before the start of the term the Continuing Student status is to be effected. Continuing Students, regardless of their mode of study, are not eligible to receive any forms of financial assistance, and are not entitled to University student accommodation. There is no time limit for research postgraduates to register as Continuing Student. However, the maximum time allowed for degree completion still holds. Once having registered for the Continuing Student status, students are not allowed to change back to regular student status. A student may change from one program of study to another with the permission of the major department to which the student wishes to transfer. If a transfer is approved, that department will determine which credits from the student’s former program apply to the new program. Normally, the transfer will not be effected until the following regular term. Students who wish to transfer to another program of study in the middle of a term should obtain the prior approval of the major department and the Dean or the Dean’s designee. Unless there are extenuating circumstances, requests for program transfers to be effected in the middle of a term are not supported. For students who have transferred from one program of study to another, the maximum time for degree completion will be counted from the first day of registration at the University. Students who have completed their program requirements are not allowed to continue their registration for the same program of study in subsequent terms. Students who withdraw, or are required to withdraw, from the University must complete clearance procedures as specified by the Academic Registrar. Only students who have completed the clearance procedures for withdrawal will be entitled to receive refund of caution money and a free copy of the transcript of studies. Each student enrolled in a specific program is subject to the requirements of the major department and the University. All postgraduate students must adhere to the curriculum of the year of entry throughout their program of study. Students should ensure that they understand the curriculum requirements of their program and plan ahead to complete their program within the permitted duration of study. Departments should, as far as possible, deliver the curriculum advertised unless due to special circumstances, changes to the original curriculum are necessary or advantageous. Full-time research postgraduate students are required to be on campus full-time and consequently in such geographical proximity as to be able to participate fully in University activities associated with the program. Residency provides students with an opportunity to become immersed in the intellectual environment of the University. Also included in residency are periods during which students’ research requires off-campus field or non-HKUST laboratory work. The residency requirements for a full-time MPhil degree is two regular terms; and that for a full-time PhD degree is three regular terms if a relevant research master’s degree is earned prior to entering the PhD program, but four regular terms for those who do not. A term of residency of part-time students counts as a one-half term of residency. Students who have not completed their thesis work should continue registration on a full- or part-time basis, without interruption. 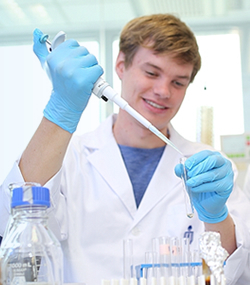 Research postgraduate programs focus on original research by the students. In addition to coursework requirements, research postgraduate students will undertake thesis research under the direction of their supervisors. To ensure the quality of thesis research and to enhance the learning experience of research postgraduate students, a Thesis Supervision Committee (TSC) will be established for each student. A TSC should consist of at least two members, one of whom is the designated thesis supervisor and committee chairman. The authority to approve and appoint TSCs usually rests with the departmental PG Studies Committee. Students enrolled on PhD programs are required to pass a qualifying examination within a stipulated period in order to obtain the PhD candidacy. The qualifying examination may be conducted through the oral or written mode, or both. Those who fail the qualifying examination after two attempts are not allowed to continue with their doctoral studies. Individual programs may have stipulations concerning the timeframe that students should take the qualifying examination and when the qualifying examination should be retaken in the case of failure in the first attempt. Besides fulfilling coursework requirements, all research postgraduate students are required to conduct research and defend a thesis before a Thesis Examination Committee. Research postgraduate students who wish to appear before a Thesis Examination Committee must indicate to their major department at least six weeks before the proposed date of the thesis examination. Inadequate notice served for taking the thesis examination will result in required postponement of the thesis examination. To avoid unnecessary delay in graduation, students are advised to schedule their thesis examinations well in advance, and avoid conducting thesis examinations towards the end of a term, in order to allow sufficient time for revisions and other post-examination arrangements. On successful completion of the thesis examination, candidates must submit two identical clean unbound original copies of the thesis to the major department. At the time of submission of the printed copies to the department, the student should have submitted an electronic copy of the thesis to the University Library’s E-thesis Database (http://library.ust.hk/th-submit.pl). Students are required to provide a printed copy of the email acknowledging receipt of the e-thesis when they submit the printed copies of the thesis to the department for forwarding to Academic Records and Registration, Academic Registry as proof. These are coursework degrees for which students must fulfill a minimum course requirement specified in the program descriptions in the Postgraduate Program Catalog. Students may also undertake a project under supervision of a faculty member. Projects require the submission of a written report, as specified by the department, and carry a maximum of nine credits. Students on postgraduate diploma programs must fulfill a minimum coursework requirement of 15 credits. Those on postgraduate certificate programs must fulfill a minimum coursework requirement of eight credits. Course registration deals with the selection of and registration in appropriate courses for a specific term. Course registration for a term requires approval from the major department. The student’s program registration will be revoked without formal registration in any course. Students should ensure that they have properly registered in the courses specified for a term. Students whose names are not on the class enrollment list will not be allowed to sit for examinations of the specific courses concerned and will not be awarded any grades for the courses. Students should acquaint themselves with the general rules for postgraduate course registration and departmental course requirements for the program. They should also read the course description and requirements carefully before selecting a course. Research postgraduate students should ensure that they enroll on the appropriate thesis research course when they begin their thesis research work. They should continue to enroll in the thesis research course until they have submitted their thesis. Credit requirements for postgraduate programs apply only to course and project work, not to thesis research. For students on postgraduate diploma programs, unless restricted by program regulations, a maximum of three credits of approved undergraduate courses at 4000-level may be used for postgraduate credit. Students on postgraduate certificate programs are not allowed to use any undergraduate courses for postgraduate credit. For students on taught master’s programs requiring 30 credits or above, unless restricted by program regulations, a maximum of nine credits of approved undergraduate courses at 4000-level may be used for postgraduate credit. Of the nine credits, no more than six may be from the student’s major department. For programs requiring fewer than 30 credits, a maximum of six credits of approved undergraduate courses at 4000-level may be used for postgraduate credit. Of the six credits, no more than three may be from the student’s major department. For students on research postgraduate programs, unless restricted by program regulations, a maximum of six credits of approved undergraduate courses at 4000-level may be used for postgraduate credit. Of the six credits, no more than three may be from the student’s major department. The normal study load for students on part-time postgraduate diploma and postgraduate certificate programs is six credits for each regular term. The maximum load is eight credits per term. For full-time postgraduate diploma and postgraduate certificate programs, the minimum study load is nine credits per regular term. The normal study load for full-time students on taught master’s programs is twelve credits per regular term, with nine credits being the minimum. The MBA and MSc programs offered by the School of Business and Management, however, have a heavier study load than other taught postgraduate programs. For part-time students, unless otherwise specified by program regulations, the maximum study load is eight credits per term. The normal study load of full-time research degree students is ten credits per regular term whereas the maximum study load for those in part-time mode is eight. Students registered as Continuing Student can only enroll in the thesis research course. A course may require a certain general level of desired prior knowledge as background. Students should ensure that they have the necessary background to undertake a course, and may seek help from their supervisors or departmental PG Coordinator. If a course designates other courses as its prerequisites, students must have taken and passed the prerequisites before they may enroll in the course, unless exemption is granted by the course offering department. If a course designates other courses as its co-requisites, students must have taken the co-requisites prior to, or at the same time as, the specified course. Exemption from prerequisite or co-requisite requirements requires the approval of the instructor of the course concerned. If a course has exclusions specified, students are not allowed to enroll in the course if they have already taken and passed any of the stated exclusions. Also students are not allowed to enroll in a course together with any of its stated exclusions in the same term. A co-listed course is a course offered under more than one course code. There may be different assessment schemes or assignments for the different course registrations, which will be explained to students at the beginning of the term. Students may enroll in and earn credits for only one of the co-listed versions of the course. With the permission of the course instructor, postgraduate students may enroll in a course as an auditor, who attends a course and participates in activities up to and including the writing of the final examination but not receiving a formal grade. Subject to satisfactory completion of requirements set by the course instructor, the course will be designated ‘AU’ on the student’s transcript; otherwise the course will be removed from the registration record. The credit load of audit courses is counted toward the study load of a student. Students on taught postgraduate programs may not be allowed to audit courses without enrolling for normal coursework simultaneously in a regular term. Exceptions may be allowed for Summer and Winter Terms with the approval of the program director concerned. For students who are on taught postgraduate programs which adopt a per-credit tuition fee system, the tuition fee for the audit courses is the same as that of regular courses. Students may make changes to their course registration during the add/drop period scheduled at the beginning of each term. Changes made in this period will not be reflected in the student’s record. Requests to add or withdraw from courses after the add/drop period will not be accepted, except under extenuating circumstances beyond the control of the student. Students wishing to request for course add or withdrawal after the add/drop period will be required to provide the department with full justification for making the application. The request has to be supported by the course instructor concerned, and endorsed by the department head, and the Dean or the Dean’s designee before it is forwarded to Academic Records and Registration, Academic Registry for consideration. If approval is granted for course withdrawal, the Withdrawal without Penalty Grade ‘W’ will be recorded on the student’s transcript as the course grade. For students who are on taught postgraduate programs which adopt a per-credit tuition fee system, there is no refund of the tuition fees paid for the withdrawn courses. Course substitution may be granted if the student can provide evidence, such as a transcript and course syllabus, that a course is equivalent in content and level to another course taken elsewhere, for which a satisfactory grade has been obtained. The course taken previously should be equivalent to 4000-level or above. No credits will be given for the exempted course and the student will be required to take an approved alternative course to fulfill program requirements. Credit transfer may be granted to students in recognition of previous studies completed elsewhere at an appropriate level as recognized by the University. Students applying for credit transfer must provide evidence, such as a transcript and course syllabus, to illustrate that a course is equivalent in content and level to another course taken elsewhere, for which a satisfactory grade has been obtained. Applications must be made to students’ major department during their first term after admission. Students on postgraduate diploma and postgraduate certificate programs must submit their application to the major department within the first month after admission. For students who complete studies elsewhere during their registration at HKUST, for example on an exchange program, applications must be submitted to the department for approval within one month after students’ return to their study at HKUST. Late applications will not be considered. i. Credits earned at the undergraduate level can only be used for credit transfer purpose if the credits had not been used to earn another academic qualification, and that the course must be at 4000-level or above. ii. Transfer credits cannot be granted in recognition of non-coursework experience or research work completed either at the University or at other institutions. iii. Credits for transfer must be at grade ‘B’ or above. iv. No more than half of the required coursework may be granted transfer credits. v. Credits previously used to satisfy the requirements of other academic qualifications may not be transferred. vi. Subject to the approval of the major department, credits earned from a postgraduate certificate or postgraduate diploma of the University may be transferred to its articulated postgraduate diploma or master’s degree program. Transfer credits granted will not be included in the calculation of grade averages but the courses approved for credit transfer will be reflected on students’ transcripts. Students who had previously withdrawn from their program of study at the University but who, after a period of time, are re-admitted to a program at the University, may be allowed to transfer their previous course grades and credits to the new program of study. Such a transfer of course grades and credits is restricted to courses which had been completed within five years prior to the resumption of study at the University. In addition, these credits must not have been used to earn any academic qualifications either at the University or elsewhere. Grades with grade points assigned are the default grades for courses. Other grading scheme may only be used where this is approved for the course. Grades given in each course are based on student performance in the final examination, tests, essays and reports, presentations and other forms of classroom participation, assignments, and laboratory exercises, although not all these elements may be present in each course. A failing grade in the laboratory component, if any, of a course may result in a failure in the whole course. A failed course (graded F) will not be credited toward a degree. The Pass, Ungraded (P) grade is given only for courses that are indicated in the course description in the Course Catalog that they will be graded as such. The HP/P/LP/U/Y grades are for use exclusively on courses of the Kellogg-HKUST Executive Master of Business Administration and the HKUST Executive Master of Business Administration programs offered by the School of Business and Management. An Unsatisfactory (U) grade will not be credited toward a degree. An Incomplete (Y) grade is used when there is initial delay in coursework. This grade must be converted to a regular grade within a specified deadline; otherwise it will be converted to a “U” grade. The Audited (AU) grade will be assigned when an auditing student has completed, to the satisfaction of the instructor, any conditions established at registration as an auditor. If the conditions are not met, the course will be deleted from the student’s record. An Incomplete (I) grade is used when work is necessarily delayed through no fault of the student, such as a medical problem or an equipment breakdown. This grade must be converted to a regular grade at least one working day before the start of the following regular term; otherwise it is converted to an “F” grade. The "I" grade given to students on postgraduate diploma and postgraduate certificate programs must be converted to a regular grade within one month from the last day for grade reporting for courses, which is normally the sixth working day from the last day of examinations for the rest of the courses. Otherwise it is converted to an “F” grade. When progress in thesis or project work is satisfactory but not scheduled for completion at the end of a regular term, the Permitted to Proceed (PP) grade is used. The Withdrawal without Penalty (W) grade is given when a student is granted special approval for withdrawal from a course after the add/drop period. After the examination period, students are required to check their own course grades which are available on the web-based student information system. Course grades will be posted on this web-based system as soon as they become available but not later than six working days from the last day of the examination period for the term. A grade average (GA) is the weighted average grade point obtained in a group of courses with letter grades where each course is given a weight equal to its credit value. Courses graded HP/P/LP/U/Y/AU/I/PP/T/W are not included in the calculation. There are three grade averages. The term grade average (TGA) is the grade average covering all courses taken in a specific term. The cumulative grade average (CGA) is based on all the courses taken by the student up to the time of calculation. Students’ TGA and CGA will be calculated at the end of each of the four terms. At graduation, a graduation grade average (GGA) will be calculated from the courses that are presented for an academic award. The GGA for graduation for all postgraduate programs must at least be 2.850. Students may apply for a grade review of a course in which they were enrolled in the term just completed. They should first discuss the matter with the course instructor as soon as the course grades are released. Where a clerical or administrative error has been made, the course offering department will report the revised grade to Academic Records and Registration, Academic Registry. If the student’s concern remains unresolved after this informal discussion, the student may submit a request for a grade review to the head of the course offering department in writing within two weeks from the day on which grades are released. If a review is granted, the department head will arrange for the review within three weeks after the release of the grade. Requests for review of course grades should normally be resolved at the department level. Students who wish to appeal against the decision of the department must do so in writing to the Dean within two weeks of receiving the decision stating the grounds for the appeal. Upon receipt of the written appeal, the Dean will determine whether or not a further review of the grade should be granted and how the review will be conducted. The Dean’s decision is final. A course with a grade lower than C shall not be credited toward a program although it will be reflected in the student’s record. Only two courses (excluding audited courses) in a postgraduate program may be retaken, and unless otherwise specified, each may be repeated only once. The new grade obtained at the second attempt will replace the previous grade in the calculation of the grade averages. If students wish the University to take into account medical reasons or some other extenuating circumstances beyond their control that have affected their performance in an examination, or ability to attend an examination, or to complete other assessment activities, they must report the circumstances of the case in writing and provide appropriate documentation to Academic Records and Registration, Academic Registry within one week of the scheduled date of the assessment activity. The Academic Registrar will review the case and make a recommendation to the relevant Dean or the Dean’s designee. The student will be notified of the result of the request within one week from the date the request is lodged with Academic Records and Registration, Academic Registry. The make-up examination, if any, will be held within five weeks after the regular examination period. The format of the make-up examination will be decided by the course instructor concerned. The academic standing of all postgraduate students is reviewed at the end of each regular term and assessed by their departments. Unsatisfactory performance may result in students being denied the opportunity to continue their study. In order for postgraduate students to attain good academic standing, they must (i) obtain a cumulative grade average (CGA) of 2.850 or higher; and (ii) show a reasonable progress toward program completion at the end of each term. Students who fail to maintain good academic standing in a regular term will be issued a letter of warning by the department head. Students who fail to maintain good academic standing in two consecutive regular terms will have their records reviewed by the department and may be required to take academic leave and have their study suspended. The academic leave will last from one to three regular terms during which students may apply for re-enrollment in their program of study at the end of their suspension. If this application for re-enrollment is approved, certain conditions may apply and the student must regain good academic standing in the regular term immediately following re-enrollment. Students will be dismissed from the University if the conditions are not met. If re-enrollment in the program is not granted by the expiry of the academic leave, the suspension will be converted to a dismissal from the University. All research postgraduate students are required to submit by the end of June every year a written review of their study progress in the past twelve months, and describe their study plan for the twelve months ahead, using an online proforma designed for this purpose. The progress report will be read by members of the Thesis Supervision Committee and their evaluation will be discussed with the student concerned. The progress report will also be reviewed by the PG Coordinator of the major department, and necessary action may be taken to address issues of concern. Students who fail to submit the duly completed and approved report form to Academic Records and Registration, Academic Registry by the stipulated deadline may not be allowed to register for their program of study in the following year. When students have completed the degree requirements for an award, or are enrolled in courses that will complete the requirements for an award, they will be included in the list of potential graduates. At graduation, a graduation grade average (GGA) will be calculated from the courses that are presented for an academic award. The GGA for graduation for all postgraduate programs must at least be 2.850. If a student has taken more courses than required by the degree, upon recommendation of the department, certain courses included in the calculation of the CGA may be excluded from the GGA calculation to improve the GGA of the student. Otherwise, all courses taken will be included. Endorsement by School Boards or their Postgraduate Studies Committees is required to confirm the graduation list and any special recommendations by departments for degree completion. Departmental and School recommendations are then considered and approved by the Committee on Postgraduate Studies, as delegated by the Senate. The University confers degrees twice a year, once in May/June and once in November. The official degree diploma is issued only after degree conferment. There are four Academic Terms in each Academic Year, namely Fall (normally from early September to late December); Winter (normally January); Spring (normally from early February to late May); and Summer (normally from late June to mid-August). Fall and Spring Terms are considered as regular terms. For most students, attendance for Winter and Summer Terms is not required. Academic Year of the University begins on 1 September and ends on 31 August of the following year. An academic program is an official program recognized by the University, which constitutes a carefully constructed set of academic requirements. Each program is given a unique program code. Unless specified otherwise, the term “program” refers to an academic program wherever it appears in this document. Students’ academic standing is an indicator of their academic progress. Poor academic progress may result in students being denied the opportunity to continue their studies. At the beginning of each term, there is an add/drop period in which students may make changes to their course registration. Changes made during the add/drop period will not appear in the students’ records. After the add/drop period, students may not be permitted to add or drop courses for that term. An Award is an academic qualification granted by the University Senate on the completion of the requirements for the award. The successful completion of an academic program is recognized by the award of a degree or other academic awards. The award title appears on the official diploma. A concentration is a defined grouping of electives as stipulated in the program curriculum. Completion of concentration requirements will be formally noted on student’s official transcript but not the diploma. Courses are the basic unit of instruction from which programs of study are built. All courses are designated by a course code, course title, and vector. Each course is identified by a course code which comprises a four-letter code followed by a four-digit number code. The letter code denotes either the area/program of study or the course offering department. The first digit of the number code indicates the academic level of the course while the last three digits represent a departmental coding series. The course offering department is the unit responsible for a course, normally a department or division. Under certain circumstances, students may be granted course substitution if the student can provide evidence that a course is equivalent in content and level to another course taken elsewhere, for which a satisfactory grade has been obtained. No credits will be given for the exempted course, and the student will be required to take an approved alternative course to fulfill credit requirements of the program of study. Each course is assigned a course vector which indicates the number of instructional hours required and credits to be earned through the completion of coursework and other assessed learning activities. The requirements for an award normally include completion of a minimum number of credits. Subject to the academic regulations, credits may be transferred to students in recognition of previous studies completed successfully at an institution other than HKUST to meet requirements of a HKUST award. Where approval of the Dean is required, applications or requests should be directed to the Office of the Associate Dean (Postgraduate), or, for programs under the Interdisciplinary Programs Office (IPO), to the Office of the Director of IPO. The University Senate awards six types of postgraduate degrees: Doctor of Philosophy (PhD), Master of Philosophy (MPhil), Executive Master of Business Administration (EMBA), Master of Arts (MA), Master of Business Administration (MBA) and Master of Science (MSc). An academic department, division, or any other academic units of the University administering academic programs. A student's major department is the academic unit which offers the specific academic program that the student is enrolled. Courses may be assessed for grade points. A table of grade points relative to letter grades is provided in the Academic Regulations (section 7.2). Courses graded HP/P/LP/U/Y/AU/I/PP/T/W do not count in the calculation of grade averages. At graduation, a GGA will be calculated from the courses that are presented for an academic award. The GGA for all postgraduate programs must at least be 2.850. Registration includes registration in course(s) and registration in an academic program. Registration is confirmed only when students have completed the registration process and paid tuition and other prescribed fees of the term concerned. The University offers two types of research postgraduate programs, namely Master of Philosophy (MPhil), and Doctor of Philosophy (PhD). MPhil programs are normally several terms in duration and require a combination of coursework and independent research; whereas PhD programs are normally several years in duration and require a combination of coursework and independent research, with major emphasis placed on research. Postgraduates are registered in programs under one of five Schools or the Interdisciplinary Programs Office. Students’ study load is the total credit for which they are registered in a specific term. The University offers six types of taught postgraduate programs, namely Executive Master of Business Administration (EMBA), Master of Arts (MA), Master of Business Administration (MBA), Master of Science (MSc), Postgraduate Diploma (PGD) and Postgraduate Certificate (PGC). Programs leading to a taught postgraduate award usually only require the completion of coursework. Academic transcripts provide the full record of students’ academic results and performance. The HKUST University Senate is the highest academic body of the University. The University Senate regulates admissions, degree requirements and all matters relating to teaching and learning. The University Senate also awards all academic awards of the University.